At the start of this year, in Tennessee, a funny thing happened to Uwe and Hannelore Romeike, members of a German family that sought asylum in the U.S., based on what they said was persecution by the government in a stable, modern, democratic European country. A U.S. court granted it. A federal immigration judge in Tennessee found that the Romeikes were at risk of persecution by German authorities because they wanted to home-school their kids. Now Uwe and Hannelore can raise their five Christian kids in Morristown, Tenn., not far from Knoxville, instead of facing fines or fearing a knock on the door from German cops. At first glance, the case resembles an old-fashioned story of peculiar Christians persecuted in the Old World striking out for the New. But the Virginia-based group that defended the Romeikes, the Home School Legal Defense Association, points out that the case isn&apos;t strictly about religious freedom. As evangelical Christians, the Romeikes were perfectly free to worship in Bissingen, Baden-Württemberg, in southwestern Germany. But in 2006 the Romeikes pulled their kids from local public schools because they objected to the curriculum. There was more in textbooks "about vampires and witches than God," they said in 2007. 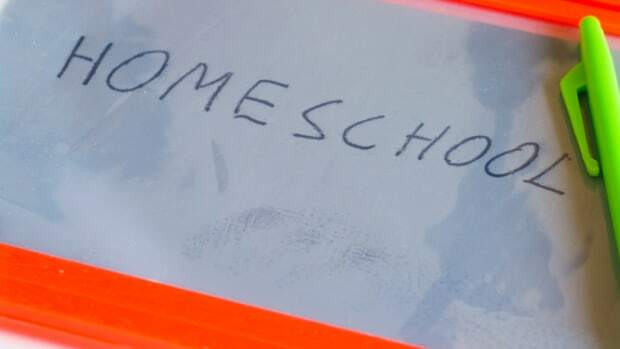 After state authorities tried to levy more than $10,000 in fines and finally sent police to the Romeikes&apos; home, the Home School Legal Defense Association suggested a deal: Move to Tennessee, apply for asylum, and we&apos;ll take your case in the name of home-schoolers around the world. Which is just what happened. "This decision," Mike Donnelly, the lawyer who defended the Romeikes, said in a statement, "finally recognizes that German home-schoolers are a specific social group that is being persecuted by a Western democracy. ... It is embarrassing for Germany, since a Western nation should uphold basic human rights, which include allowing parents to raise and educate their own children." The HSLDA is an unusual organization. Part of its work is to pressure foreign governments on home schooling. And its rhetoric can stoop pretty low. One speech Donnelly offers on the topic is titled "A Hitlerian Legacy? : Germany&apos;s Treatment of Home-Schoolers," and Donnelly&apos;s boss, Michael Farris, who founded the legal group, said in a 2007 interview: "Germany&apos;s behavior in this area is the edge of the coming night. ... One person we met with said ... it wasn&apos;t so much that the [Berlin] Wall came down after the fall of communism, but that the wall moved to the West." This is wild talk. The German public school tradition predates both Nazis and Communists. It goes back, actually, to a 1524 letter by Martin Luther, titled "To the Councilmen of All Cities in Germany That They Establish and Maintain Christian Schools." The basis for current policy on public schooling, according to Brügelmann, is a Germany-wide law from the Weimar Republic in 1919. The intent at the time was to democratize education and make sure all kids could participate in the German democratic experiment. "It was about integrating children into the new democracy," Brügelmann says, "but there was also this idea that all children had a right to education." The Home School Legal Defense Association might argue that German public schools have drifted from the intent of Martin Luther&apos;s letter because the schools are no longer Christian. What the group can&apos;t argue seriously is that German laws against home schooling are modern totalitarian ideas. The justifications in Germany for the laws haven&apos;t changed much since 1919, according to Brügelmann — they still involve integrating and socializing kids and ensuring the right to an education. In that sense the laws are an example of Europe&apos;s odd habit of forcing people to conform to certain democratic standards. These laws are counterintuitive to Americans — and to me they seem flat wrong. But the requirement to attend school in Germany rests on the same rhetoric as proposed laws in France against full Muslim veils. "The wearing of the full veil," declared a French parliamentary committee early this year, recommending a new dress code for women in public buildings, "is a challenge to our republic." Europeans believe in creating a clear civic space, where differences fall away to let citizens interact, without veils or prejudice or undue privilege, under democratic laws. Whether Europe lives up to these ideals is another question, but these arguments for conformity in European public life are no different from arguments in America for making English the official language. "We have one language here," Teddy Roosevelt once said, as official English activists in America will remind you, "and that is the English language, and we intend to see that the crucible [of immigration] turns our people out as Americans." Germans — harsh as it may sound — believe the same about their schools.